"Conservative Dentist | Cavities & Fillings Treatments in Pune"
The doctors at NDC/P are very experienced and are highly skilled in doing the best dental fillings treatments in Pune. Fillings are required when there is tooth decay due to bacterial acid attack or when there are abrasion cavities/ attrition facets due to wear and tear or vigorous brushing with a hard toothbrush. Many times fillings are required for fractured front teeth. Earlier Silver Amalgam fillings (which contained mercury), direct filling gold, various cement, etc. were used for filling cavities. With the advent of composite (tooth colored) fillings, all these are no longer used. Pit and fissure sealants are done as a prophylactic procedure, especially if a patient has a high tendency for caries. These are usually done at a younger age. Only the best composites are used at NDC/P. There are different composites for molar teeth which have higher compressive strength and different for front teeth which have better translucency and finishing properties. For teeth, with bigger defects, ceramic inlays and overlays are often done. Many times Metal, PFM or Zirconium crowns may be the best solution for grossly broken down teeth, defective teeth or root canal treated teeth. Preformed or chairside temporary crowns are provided to patients till final crowns are placed. Patients are often provided with night guards to prevent or reduce attrition of teeth. All patients are counseled on methods of prevention of caries. 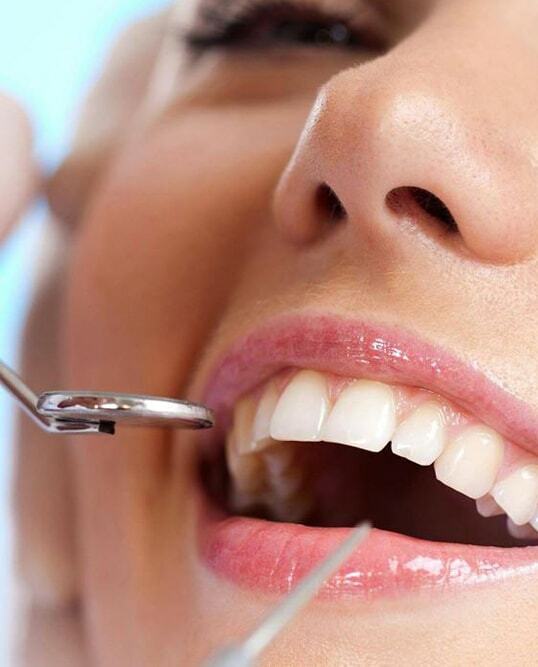 The importance of routine dental check-ups is explained to them, since cavities seldom pain and many times a patient may not even notice them until its too late.